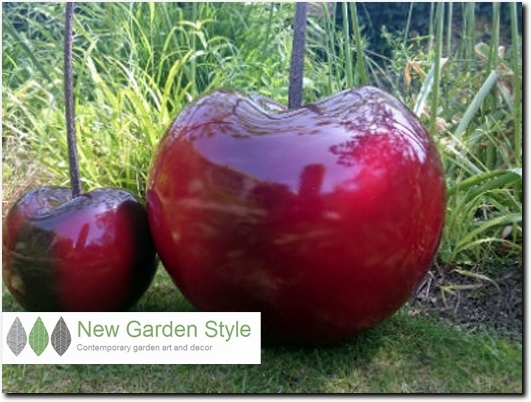 New Garden Style offer a stunning range of contemporary garden ornaments and garden decorations. We focus on modern pieces specially curated for design-savvy customers at affordable prices. Our garden ornaments collection enables you to make a modern style statement and will bring some individuality to your garden. Whether you choose to maximize impact with one of our large fruit ornaments, or add some rustic charm with one of our metal ornaments, rest assured that these pieces are of the highest quality available. Our garden decorations collection features garden spheres, lanterns, fire pits and garden wall art. With a focus on both style and function, these pieces enable you to add a focal point to your garden, augment your garden"s design or simply add some additional interest to your space. We also want to inspire and inform you. Our blog pages offer advice on how best to use art in your garden, alongside garden design tips and inspiration to encourage you to make the most of your outdoor space. UK (Brighton, East Sussex) based business - established in 2015 - providing garden ornaments and decorations for sale. Website includes e-commerce facilities, delivery and returns information, terms and conditions, associations, blog, full contact details.